O2 SIM Only deals are cheap as chips, but check your handset’s user manual to make sure you choose the right one. This is a multi SIM card which means you get all three SIM sizes in one. Just pop out the one for your phone and away you go. 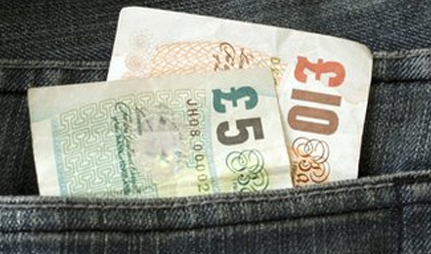 All our prices include VAT at the current rate. Your inclusive minutes, texts and data are valid for UK only and also may not apply for premium and non-geographic numbers. If you are using your mobile abroad different charges will apply to the above. Please visit the network website for more details. Until you receive your first bill, you'll only receive pro rata inclusive minutes, text and data based on the date you were connected. Please call your network provider to find out more. Not Right for You? Don’t Worry We’ve got you covered. Still not satisfied We have plenty more! With an O2 SIM card, you still get all the benefits that you would get with a phone contract but at a fraction of the cost. Why Choose O2 Sim Only? 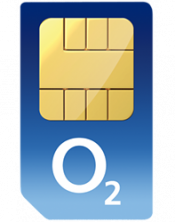 O2 SIM only deals are a great way to save some cash each month, while still getting great O2 service. Just pair your O2 SIM only with your existing phone, or a new handset you’ve bought SIM free, and enjoy lower monthly payments as well as shorter plans. With an O2 SIM only deal in your pocket, you’ll still enjoy all the benefits that O2 customers receive. As well as outstanding UK coverage, you can make the most of monthly treats via O2 Priority, as well as pre-sale access to the most exciting UK live events around. Get ready for superfast streaming, and bid goodbye to buffering, with epic 4G connection on O2. Do more of what you love, and stay connected wherever your day takes you, with network coverage that spans a whopping 98% of the UK population. With epic internet speeds, you can take the effort out of viewing your favourite movies, or listening to the latest tunes. Never miss out on the hottest tickets in town ever again, with the O2 Priority app which gives you presale access to thousands of live events, up to 48 hours before general sale. As well as getting you closer to the artists you love, O2 Priority offers weekly treats and discounts, with freebies and money-off deals you can take advantage of on your local high street. It’s holiday time. Sunglasses? Check. Sunscreen? Check? Free roaming in Europe? With O2, it’s a no-brainer. Share your travels on social media, and stay in touch with loved-ones back home, thanks to free roaming throughout the EU with EuropeZone roaming. Just use your monthly allowances as normal, and enjoy your trip! It doesn’t matter if you’re currently on an O2 mobile contract, you can upgrade to SIM only as soon as your current plan comes to an end. In fact, those nice folk at O2 will let you upgrade 30 days early, which means you can keep your number without the hassle, and start saving on your monthly bill, even sooner. We all know the main benefit of choosing a refurbished smartphone is to save some cash. You can expect cheaper monthly line rental, or less to pay up front, and get the latest tech in your pocket without the usual price-tag. 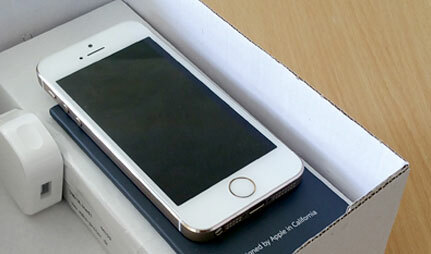 You might be wary of ordering a refurbished phone, but there's no need to worry. Our stock is provided directly from mobile manufacturers, who have expertly inspected the goods to ensure they're in top working order. This gives you peace of mind, as well as great savings. Do I still get everything that comes in the box? Due to the nature of refurbished mobile phones, the original accessories can't be guaranteed. As the item may have been handled already, we don't include accessories such as earphones for hygiene reasons. However, it's worth remembering that the amount of cash you're saving on a refurbished phone is a lot more than the value of a pair of headphones, so even if you pick up an accessory or two separately, you'll still be in pocket in the long run. The handset may also come in plain packaging, as opposed to the original branded box, but who stops to look at the box anyway? Once you've impatiently flung it into the corner you're still left with a cracking piece of tech in the palm of your hand. In all cases, you can be guaranteed to receive a charger, so you won't lose any time in getting your handset juiced up and ready to go. Get the best mobile phone deals – we’ve got thousands to choose from! Want to be the first to hear about our amazing deals? Sign up here. Would you like to be kept up-to-date with the latest news and offers from e2save?